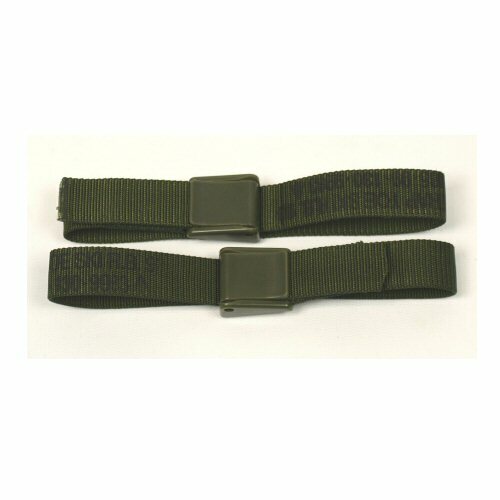 One pair of olive utility straps, 20mm webbing width, 410 mm overall length, fitted with plastic camlock buckle. The camlock buckle has a small hinge on which the cam swivels to open or close. Once closed, the angle of the strap grip ensures that the strap remains tightly closed down with tension on the strap. The plastic camlock is non metallic and made by Fixlock in Sweden. When looped, the strap offers a 10mm diameter for fixing roll mats on a backpack or holding items together. 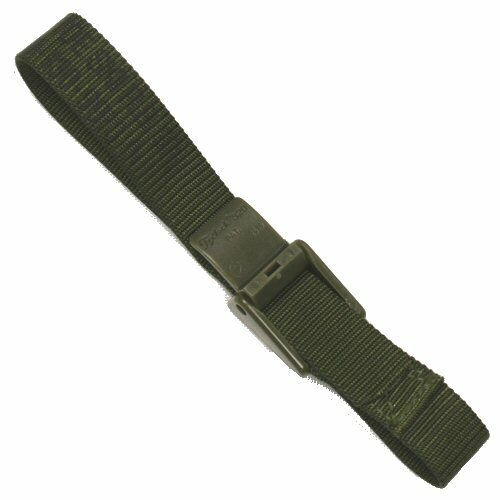 Strap is non-rot Cordura narrow webbing. These small straps are ideal for keeping together a string of pouches, attaching utilities to webbing and rucksacks, or securing items down in a vehicle. Price is for one pair of straps.